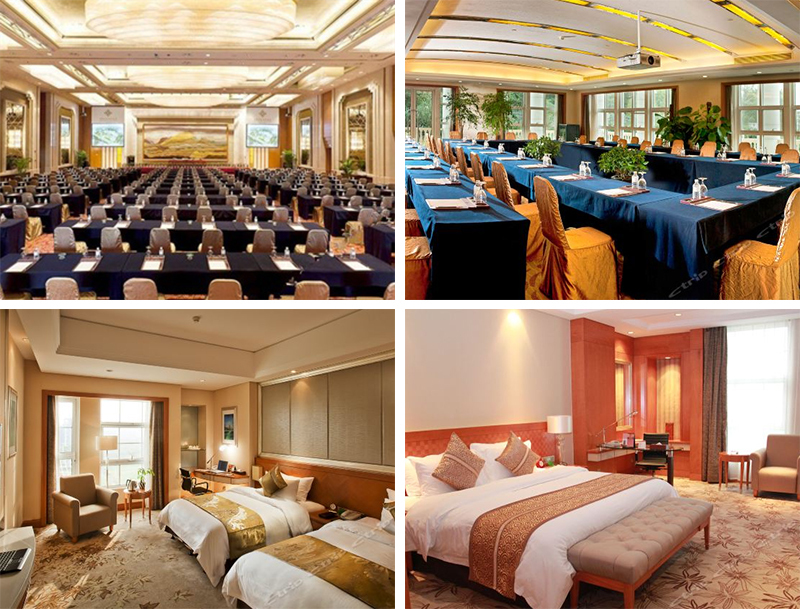 The venue of ICICDT 2019 will be held at Guanyuan Liusu Hotel Suzhou (Originally known as "Suzhou Jinling Guanyuan International Hotel") in Suzhou,China. The Guanyuan Liusu Hotel Suzhou (Originally known as "Suzhou Jinling Guanyuan International Hotel") is situated by Suzhou's Dushu Lake and about 14 km from the bustling downtown area. This Suzhou hotel offers various room amenities like safes, hair dryers, mini bars, iron/ironing boards and electric kettles. Diners can enjoy Chinese and Japanese foods in on-site restaurants. A large function room in the hotel is suitable for organizing meetings, banquets or other events. During their spare time, guests may socialize in the bar or take advantage of fitness facilities to burn off calories. 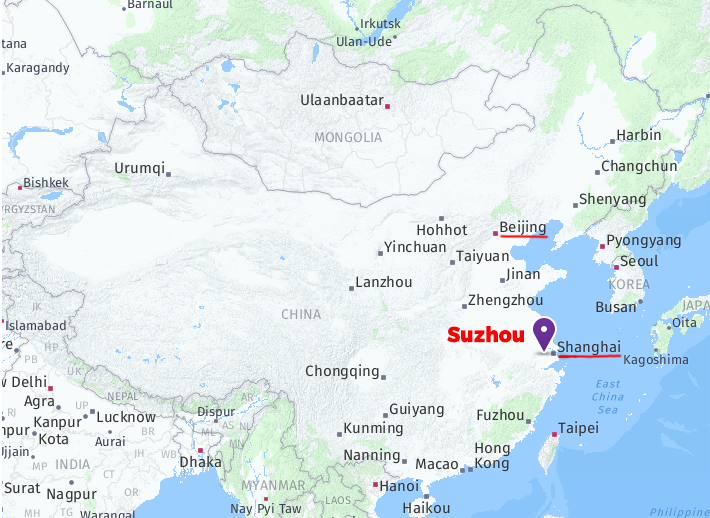 Suzhou is a major city located in southeastern Jiangsu Province of East China, about 100 km (62 mi) northwest of Shanghai. It is a major economic center and focal point of trade and commerce, and the second largest city in the province, after its capital Nanjing. The city's canals, stone bridges, pagodas, and meticulously designed gardens have contributed to its status as one of the top tourist attractions in China. The Classical Gardens of Suzhou were added to the list of the UNESCO World Heritage Sites in 1997 and 2000. Suzhou is often dubbed the "Venice of the East" or "Venice of China". Suzhou is located in the East of China, in the Jiangsu Province. You can reach there either by plane, train, or car. The nearest airport to Jinling Guanyuan International Hotel is Sunan Shuofang International Airport (IATA code: WUX). You can take flight to this airport and take taxi or shuttle bus to the conference venue. The distance between this airport to the hotel is 55km (34mi). It will take around 40-50 mins by car. The cost of taxi will be around 180 CNY (26 USD). Another option is to fly to Shanghai Pudong International Airport (IATA code: PVG). The distance between this airport to the hotel is 135km (84mi). It will take around 90-100 mins by car depending on the traffic. The cost of taxi will be around 460 CNY (66 USD). There are 3 railway stations in Suzhou. Suzhou Railway Staition, Suzhou New District Railway Station and Suzhou North Railway Station. They are close to each other, you can ride the train to the station and take a taxi to the hotel. Suzhou has subtropical monsoon humid climate. The average minimum and maximum temperature in June in Suzhou are 21° C and 28° C, respectively. Electricity is supplied at 220 Volts, 50 Hz AC. Please use an adapter plug and a voltage converter if you need 110/120 volt appliances. If you need offical invitation letter from the conference oranizing committee, please email the conference secretary for assistant. Please notice that the invitation letter will be be given after your registration for the conference has been done. There will be no exception. Thank you for your understanding. If you have any question, please feel free to contact us. Please visit http://www.visaforchina.org/SGP_EN/ and follow the step by step instruction to complete the application. All travelers will need a passport valid for at least 90 days following your departure date from China. However, we strongly recommend traveling with 6 months validity on your passport at all times. Most destinations, including China, require that you have adequate un-used pages in your passport, allowing for any necessary stamps upon arrival and departure. We recommend that you have at least two free pages in Visas section of your passport before any international travel. If your application be denied, the conference organize committee cannot change the decision of the Ministry of Foreign Affairs, nor will the committee engage in discussion or correspondence with the MOFA or the Embassy on behalf of the applicant. The registration fee cannot be refunded when the VISA application of individual being denied.